New Hope for Cycling in Oxford? On 6 November Oxfordshire County Council carried this motion nem con (49 votes to 0) . The motion was proposed by Cllr Suzanne Bartington after her original motion was amended to incorporate a separate motion from Cllr Paul Buckley which was itself then withdrawn. i. Apply Local Cycling and Walking Infrastructure Plans (LCWIPs) to agree a prioritised and costed Strategic Active Travel Network (SATN), building on work of the Oxfordshire Cycle Network. ii. Actively seek capital and revenue funding for SATN delivery through local and national sources. iii. Assess what co-benefits could be gained by allocating a fraction of local transport funds to active travel infrastructure (e.g. 5 or 10%) following best practice examples. iv. Influence the Planning Authorities’ use of planning powers more proactively and effectively to achieve beneficial active travel outcomes. v. Establish a framework to oversee quality control of all active travel infrastructure projects in accordance with the Oxfordshire Cycling Design Standards, from inception through planning to implementation, ensuring all proposals are audited for safety and encouragement of active travel. vi. Use innovative data sources and technologies to identify active travel patterns and latent demand, and to monitor and increase effectiveness of interventions. 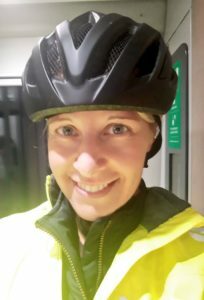 Cllr Bartington is the nominated Cycling Champion for Oxfordshire CC. 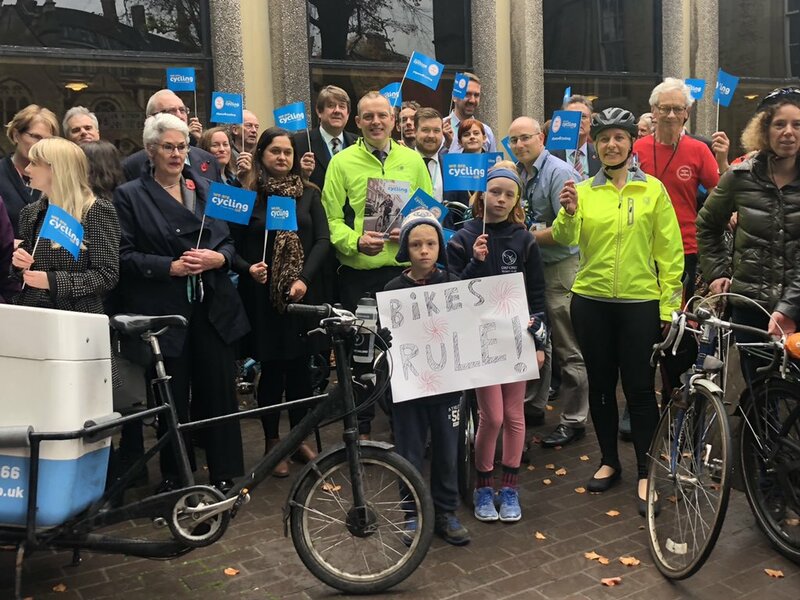 The Gilligan Report “Running out of Road – Investing in cycling in Cambridge, Milton Keynes and Oxford” was prepared for the National Infrastructure Commission. It re-states best practice and recommends spending £150m on cycling infrastructure in Oxford alone. You can read the report here.